NEXT | What's the best part of patch 8.2 you've seen so far? Last week, during the Rise of Azshara preview livestream hosted by World of Warcraft Senior Game Designer Jeremy Feasel (also known as Muffinus on Twitter) we got some details about the new heritage armor sets coming to the Alliance and Horde in patch 8.2, and I have to say, I’m very excited about what little we currently know. We don’t know the specifics yet — we don’t know where the quests start or end, for example, or how much work they’re going to be to complete, although I suspect the Dwarf and Blood Elf heritage armor questlines can serve as a decent basis for comparison. So not grueling, just long enough to dig into the history of the race in question. Remember, for Heritage Armor sets for main races, you have to unlock Exalted reputation with that racial faction — so Gnomeregan for Gnomes and Thunder Bluff for Tauren. 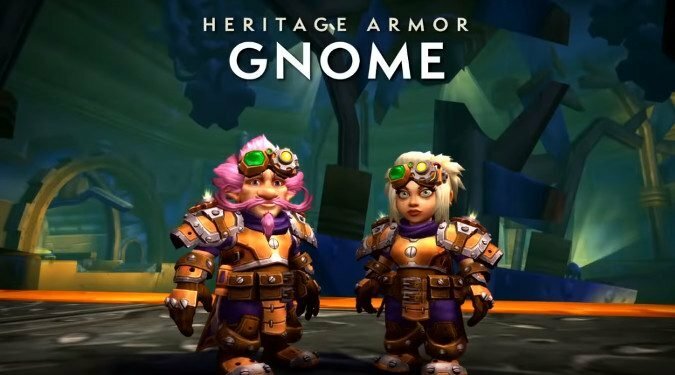 Note that it doesn’t have to be earned on the character that will be earning the armor appearance — if your Human happens to be exalted with Gnomeregan, your Gnome can still complete the questline as long as both the character who earned exalted and the Gnome are both max level. So if you’re looking to get one of these appearances for yourself, make sure to get exalted with the proper Alliance or Horde faction. In addition to all that, Muffinus let us know a few tidbits about the quests leading up to getting your heritage armor. For Gnome players, there’s a lore deep dive into the last remaining family of Mekgineer Sicco Thermaplugg himself, which I can’t wait to get involved with and which makes me definitely excited. We’ve been waiting for more Gnome lore for literally years, and with Mechagon coming in patch 8.2, this is a welcome addition. 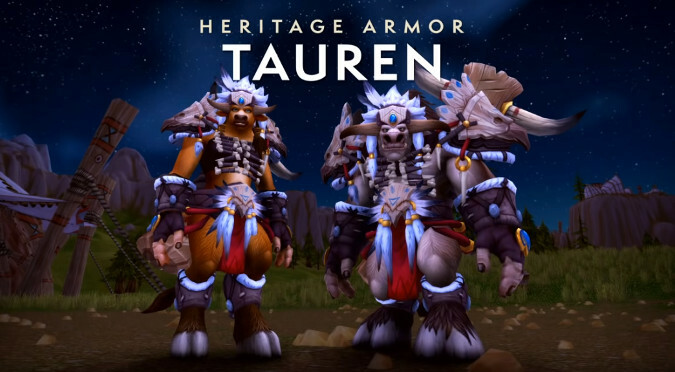 The Tauren will be experiencing something a bit closer to home — the spirits in Mulgore are restless and Tauren players who want their heritage set must assist the Spirit Walkers to find out why — but Muffinus also teased that Tauren would also have to complete the War Campaign and discover the fate of Baine Bloodhoof before they could get their heritage armor. 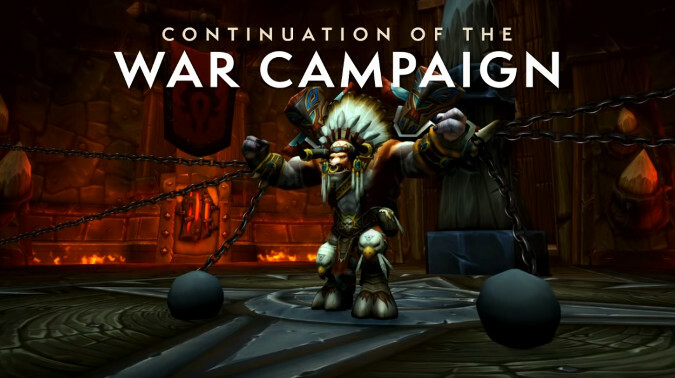 Muffinus didn’t tell us exactly how Baine ties into the heritage armor quests, just that his story is part of the War Campaign — it’s possible you simply can’t start the Heritage Armor quests until Baine is found. This is interesting to me because the two races chosen to get their heritage armor in 8.2 are races whose normal faction leaders are gone — Mekkatorque is frozen in suspended animation and Baine is chained up underneath Orgrimmar by Sylvanas. Will they both be seeing a change of the guard? Do you have to find a replacement for your departed faction leader before you can get your heritage set? Just what will be the ultimate fate for Baine? Why is the family of Sicco Thermaplugg, the Gnome who irradiated Gnomeregan, suddenly making a return in these questlines? We don’t know yet, but it’s an interesting parallel all told. I can’t wait for Patch 8.2 to come around and start answering some of our questions, and also letting us finally get these new heritage armor sets.